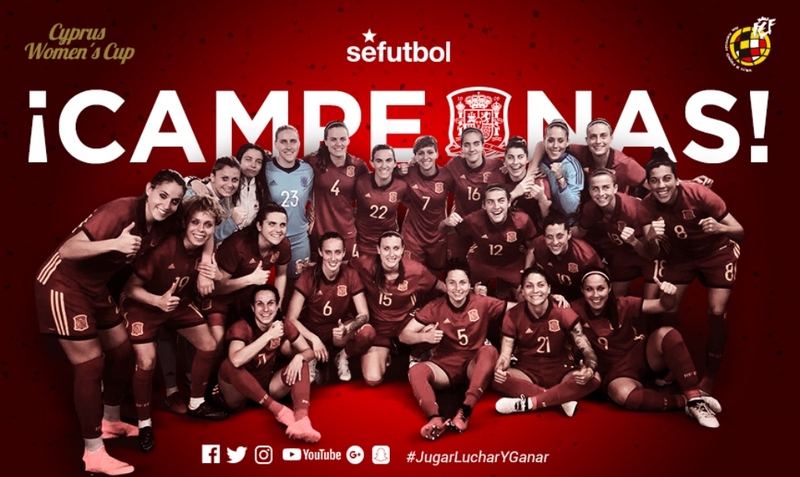 Amanda Sampedro, Irene Paredes, and Vicky Losada lifted the 2018 Cyprus Women’s Cup trophy. The annual invitational friendly tournament was held from 28th February to 7th March with 12 participating nations. Spain did completed the course without any fault in this eleventh edition which was his first participation. Spanish side reached the final after winning the first spot of Group B with seven points (two wins and one draw) without conceding a single goal. Spain defeated Italy 2-0 in the final in Larnaca. All the three players represented by LTA featured in this clash and helped Spain to the victory. Amanda scored the first goal five minutes after the started of the second-half time, Irene played the full 90 minutes and Virginia also started. On their way to the title, the three players also played in group stage matches. Amanda made one assist in the first goal against Austria (2-0) and Irene netted Spain’s opener in the 2-0 defeated Czech Republic. Spain’s squad will now continue to fight for a place in the 2019 FIFA Women’s World Cup in France. LTA Agency congratulate Amanda, Irene and Virginia on this achievement.